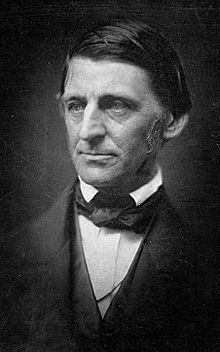 One of the seminal essays on the central role of poetry in society was written by the American poet and lecturer, Ralph Waldo Emerson (1803-1882). In his essay, entitled simply “The Poet,” and published in 1844, Emerson passionately defends not only the poet’s artistic vocation but places poetry at the heart of cultural life. His central thesis is that human society is incomplete if it lacks cultural expression: “For all men live by truth, and stand in need of expression.” Man is only half himself, the other half is his expression; words are actions, actions are words! By extrapolation, Emerson’s arguments can be applied to all forms of artistic expression including music, theatre and the plastic arts. The artist is representative not of his individual wealth but of the commonwealth. Below, is an edited extract from Emerson’s essay, the complete text of which can be accessed at http://www.bartleby.com/5/110.html. It follows from this that poetry, and the arts in general, should be central to the curriculum of young people and should be given pride of place in our schools. In these austere times, when one of the world’s richest countries calls upon some of its poorest citizens to bear the brunt of national debt repayment, it is salutary to re-read Thomas More’s Utopia. The word ‘utopian’ has long passed into the language, but these days relatively few people take the trouble to read More’s text which was originally published in Latin by his friend Erasmus in 1516 – note the 500th anniversary comes up next year. The text of Utopia first appeared in English translation in 1551 after More had been royally executed by Henry VIII. Utopia takes the form of a discussion between More himself and his learned friend, the narrator/traveller, Raphael Hythlodaeus, based on the character of Erasmus. They discuss the ills of contemporary Antwerp, and describe the social and political structures prevailing in the imaginary island country of Utopia. The name Utopia is normally understood to mean “no place”, somewhere which does not exist; but the term is in fact a Greek pun signifying simultaneously ‘no place’ and ‘good place’. Utopia compares the contentious social life of European states with the perfectly orderly, reasonable social arrangements of Utopia and its environs. In Utopia, there are no lawyers because of the simplicity of its laws and because social gatherings are in public view, thus encouraging participants to behave well; communal ownership replaces private property; men and women are educated alike; and there is almost complete religious tolerance. Readers of More’s humanist work will also notice in the enlightened communities he describes, the complete absence of zero hours contracts, food banks and poverty and social injustice. Salutary reading for our times, methinks! 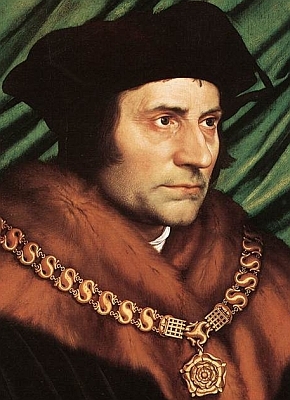 Sir Thomas More (1478-1535) was a lawyer and a councillor to Henry VIII in addition to being a noted Renaissance scholar. Disagreement with the king on a point of Canon law led to him being tried and executed for treason. Below is an extract from More’s masterpiece, but readers can access the full text at http://www.gutenberg.org/cache/epub/2130/pg2130.txt. “Consider any year, that has been so unfruitful that many thousands have died of hunger; and yet if, at the end of that year, a survey was made of the granaries of all the rich men that have hoarded up the corn, it would-be found that there was enough among them to have prevented all that consumption of men that perished in misery; and that, if it had been distributed among them, none would have felt the terrible effects of that scarcity: so easy a thing would it be to supply all the necessities of life, if that blessed thing called money, which is pretended to be invented for procuring them was not really the only thing that obstructed their being procured! In a letter dated 10 August 1964, the American poet Robert Lowell wrote to his great friend, Elizabeth Bishop, another very distinguished American poet, about the death of Flannery O’Connor. Bishop was living in Brazil at the time. In her reply to Lowell, Bishop wrote: “I feel awe in front of that girl’s courage and discipline. 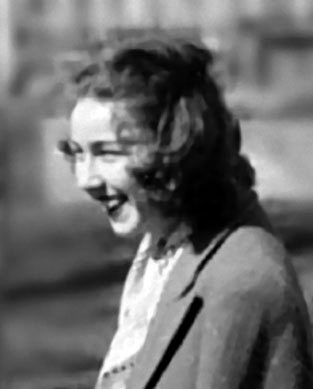 Flannery O’Connor was born in Savannah, Georgia, in 1935, and was diagnosed with the debilitating disease of lupus in 1951. At the time she was only expected to live for another five years: however, she managed to survive fourteen years and in that period she wrote two novels and dozens of short stories. Her stories are among the very best short fictions written anywhere in the world, and the generosity of Lowell’s appraisal of her character is well-founded. She worked as hard as her illness permitted, and by all accounts she never complained or wallowed in self-pity. The extract below is taken from the title story of the 1955 collection, A Good Man is Hard to Find. If you are unfamiliar with the work of Flannery O’Connor, I would encourage you to find this collection and discover what happens when the family run into The Misfit, and if you are not blown away by her writing, I would suggest that you probably need to lose weight (if you know what I mean)! 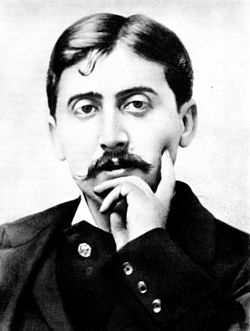 In Marcel Proust’s monumental study of voluntary and involuntary memory, In Remembrance of Things Past, the narrator, now an adult, describes how the taste of a madeleine cake brings flooding back to him the days of his youth in Combray where he grew up. So what better for a dreary Bank holiday Monday monsoon than a fine cup of tea with madeleines to dip, if you so desire, associated hopefully with the memory of an August Bank holiday in days gone by when the sun shone. For 12 madeleines – Preparation time 20 min. Mix together the egg with the sugar, then add the rose / orange blossom water. Add the flour and the baking powder and stir well. Add the melted butter. Stir well. Pour some mixture in the madeleine mould. Make sure you don’t fill it to the top. Bake for exactly 10 min. Keep an eye on the madeleines so they don’t burn. When done, take the madeleines out and leave to cool a little before you unmould them. Many years had past during which nothing of Combray, except what was comprised in the theatre and the drama of my going to bed there, had any existence for me, when one winter’s day, as I arrived home, my mother, seeing that I was cold, offered me some tea, something I didn’t normally drink. At first I refused, but then, for no particular reason, I changed my mind. 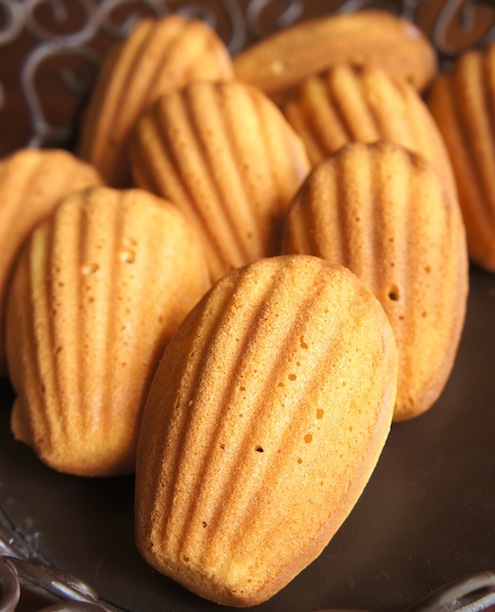 She sent out for one of those short, plump little cakes called ‘petites madeleines,’ which look as though they’ve been moulded in a fluted scallop shell. And so, tired after a tedious day with the prospect of a depressing day to follow, I mechanically raised to my lips a spoonful of the tea in which I had soaked a morsel of the cake. No sooner had the warm liquid, and the crumbs with it, touched my palate than a shudder ran through my entire body, and I stopped, intent upon the extraordinary changes that were taking place. An exquisite pleasure had invaded my senses, but individual, detached, with no hint of what had caused it. And at once the vicissitudes of life had become indifferent to me, its disasters innocuous, its brevity illusory—this new sensation having had on me the effect which love has of filling me with a precious essence; or rather this essence was not in me, it was me. I had ceased now to feel mediocre, accidental, mortal. Where had it come from, this overpowering joy? I was conscious that it was connected with the taste of tea and cake, but that it infinitely transcended those flavours, could not, indeed, be of the same nature as theirs. Where had it come from? What did it mean? How could I grasp and define it? . . .And suddenly the memory came to me. It was the taste of the little piece of madeleine which on Sunday mornings at Combray (because on those mornings I didn’t go out before mass), when I went to say good morning to her in her bedroom, my aunt Léonie would give me, dipping it first in her own cup of tea or tisane. The sight of the little madeleine had recalled nothing to my mind before I tasted it; perhaps because I had so often seen such things since, without tasting them, on the trays in patisserie windows, that their image had dissociated itself from those Combray days to take its place alongside others more recent; perhaps because of those memories, so long abandoned and put out of mind, nothing now survived, everything was scattered; the forms of things, including that of the little scallop-shell of pastry, so richly sensual under its severe, devout folds, were either obliterated or had been dormant so long that they had lost the power of expansion which would have allowed them to resume their place in my consciousness. But when from a remote past nothing survives, after the people are dead, after things have been destroyed and scattered, still, alone, more fragile, but with more vitality, more insubstantial, more persistent, more faithful, the smell and taste of things remain a long time, like souls, ready to be recalled, waiting and hoping for their moment, amid the ruins of all the rest; and bear unfaltering, in the tiny and almost impalpable drop of their essence, the vast structure of memory. Extracts from Gertrude Stein, The Autobiography of Alice B. Toklas. 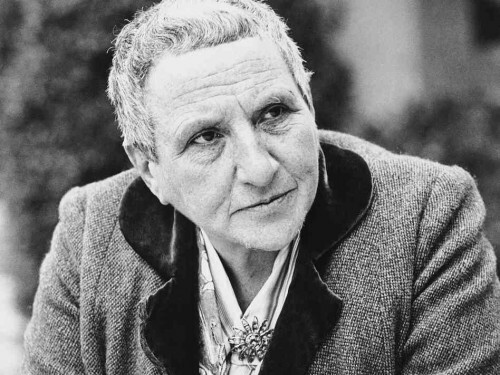 I became fascinated by the writings of Gertrude Stein after reading The Autobiography of Alice B. Toklas, in which she assumed the persona of her partner, Alice, to tell her own life story. 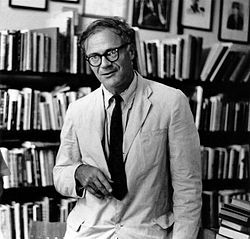 There is nothing straightforward about Stein’s writings, many of which represent an insurmountable challenge to most readers, not excluding, at times, myself. Nevertheless, it is always worth persisting with genius. Over the years I have learnt to read her texts and discovered that to do so, one really has to read them out aloud to capture her breath, much as one has to do with Joyce’s Finnegans Wake. Stein was a very close friend of Picasso and Matisse and Cézanne and other artist contemporaries in the early part of the 20th century, and the salon which she held at her home, 27 rue de Fleurus, in Paris, was frequented by many of the leading avant garde writers from Europe and the United States. It was supposedly Gertrude Stein who coined the term ‘the Lost Generation’ referring to Scott Fitzgerald and Ernest Hemingway, among others. The story I am posting today, although entirely fictitious, was inspired by my reading of the relationship Gertrude Stein had with Ernest Hemingway as hinted at in the quotations above. All of this set my mind off: to what avail you can judge for yourselves. At night, he dreamed of fires. Tall tongues of red and yellow flame leaping into the cold night air. The acrid smell, the sound of insects exploding in the heat. At night he dreamed of fires and woke in the morning to his pale skin, to his fair hair, to his skin and bone body. The truth is, Gertrude told Ernest, there’s nothing new in your ‘novel’. A new novel has new things, she continued, after a pause that owed nothing to a rose is a rose is a rose. Ernest looked at her, her absolute fullness, the absolute simplicity of her absolute fullness: that overwhelmed him more than her words. Nothing new, he repeated aloud, submissively, overwhelmed, hopeless. At night he dreamed of blazing fires, of fires raging on an African horizon, in clearings, on the foothills of Kilimanjaro. Ideas ravaged his mind, flickering shades amid the flickering shadows of leaping tongues of yellow and red flame. At night he dreamed of death, and woke in the morning to his pale skin, to his fair hair, to his skin and bone body and a Swiss Army knife tucked under his pillow. And an empty page. . . . Question and answer. Answers will take you nowhere, Gertrude said, savouring every word as it left her mouth. Ernest listened at her feet, open-minded, mouth agape. What is an answer, she continued. An answer is nothing great. An answer is the end; it’s an end, not a beginning. It’s independent, and it’s clear. Only if it leads to another question, only if then is it an answer that matters in any way to a questioning mind. Pale blue, Ernest thought, her words are pale blue, a Picasso blue. Words for a canvas, perhaps. And he listened, over and over, but to no avail. Where’s the drama in an answer, Gertrude asked him, and he had to shake his head and admit that there was none. That’s the reason, she continued, why the ends of stories are so frustrating, because an end is always much less dramatic than a beginning and a beginning is a question, while an answer is a full stop. Now, who created the world, that’s an interesting question, at least, but as for the end of the world, well, that’s not even minimally interesting to anyone, since, by definition, the end is the end of the end of all questions. And the end of genius, that is, the ability to ask the right questions, without worrying too much about the right answers. Shakespeare is certainly more questions than answers, wouldn’t you say so? Ernest thought and saw that Gertrude was right, and felt, for a moment, the hope that a little of her genius could, by osmosis or some similar process, be transferred to him, although he knew it was unlikely, or all but impossible, even though he had already yet to totally discount the therapeutic value of hope, even as he recognized the aridity of the promises it brought. At night he dreamed of fires and endlessly long vipers that somehow managed to meander in and out of the fire without injury, such green, intricately spotted snakes creeping into the icy flames. At night he dreamed of fires and could smell the flesh of a woman he had once desired and felt a fire invade his body while sleeping, while curled and snaked snug within the dream. And in the morning he awoke to his pale skin, to his blond hair, awoke to his aloneness, to his skin and bone body, and he remembered the fire and a waning moon and a dark canvas and shooting stars, and a breeze that gently fanned the flames, and the roar of a lion far away in the distance, the mountain contours on the horizon, Kilimanjaro; and the emptiness of his day was plagued by the unshakeable oppression of the turmoil of his constant dream. Can a man love a woman? Gertrude paused, to listen to her own question. Anna brought tea. Ernest served. Anna brought scones. Ernest buttered. Anna withdrew, leaving the tea, the scones, the butter, and a little honey in a glass jar. And a silence. Can a man love a woman? Gertrude hesitated again before the immensity of her question. Or, she said, why can a woman not love a man? That is so much more the question, and she smiled, leaning forward to receive the cup of steaming tea from Ernest’s trembling but devoted outstretched hand. The question is much more that, Gertrude repeated, savouring each syllable on the tip of her tongue. Yes. . . I think not, she continued, after a long pause. Do you not agree, Ernest? That night he dreamed of a woman whose face he could not see, whose body he could not see, though he could feel her face and feel her body in his dream, as if awake. The warmth of her body, the smell. He felt her breath on his face, heard sweet nothings in his ear, an invisible body and face, and legs, which he felt invisible, ran his hands over her breasts, over her belly, the soft hair between her legs, the same horizon, the same roar in the distance, but no fire and no flame. He threw himself across her body, the body he could feel but not see, felt the rapture of desire, and then he awoke: back to his pale skin, to his blond hair, to his skin and bone body, and an empty bed. Can a man love a woman, or more precisely, can a woman love a man? These are difficult questions, said Gertrude as she proceeded to devour a second scone. Can a man and a woman truly love? Yes, dear Ernest. Too many things happen in your novels, so that they are not really new. So busy busy with events, no time for any story, because you are never anywhere long enough for the story, a real story to emerge. Always too much going on and always nowhere near enough questions and everyone knows that when a question in itself is not interesting enough, then what hope, I ask you, what hope have the poor answers? In his dreams. . . In your dreams, dear Ernest, does the moon always wax or does it occasionally wane? Always the same dream, you say, but does the moon from time to time wax or does it from time to time wane? Or perhaps neither wax nor wane, or perhaps sometimes both? Is that not the question, my dear Ernest? That night, the same dream but there was no moon, or if there was it was as though it was beyond his view, since in his dream although he strained, he was unable to raise his eyes, and so could not answer Gertrude’s question, though not as though. Pilate’s question, if you remember, Ernest. Do you remember? Ernest remembered. He always remembered to the point at times of cursing memory and preferring not to remember, but he always remembered almost always almost everything almost all the time, and that was why he drank, he almost always remembered. Can a woman love a man? Why did Pilate not ask this question? He should have asked this question because it is so much more interesting than the question he actually asked. Whether a man can love a woman is also an interesting question, but very much less so in every respect but two. Perhaps the solution is to ask whether a woman will love a man and whether a man can love a woman, do not you agree, Ernest? In truth, do you not agree? In the evening, a river. The roar of a lion, a mountain cat. A campfire. Towering tongues ​​of yellow and red flame shooting up, against the mountain shapes in the distance. A savannah stretching infinitely in all directions, in his cot, a huge mountain. Kilimanjaro. The hills. The smell of acrid smoke curling into his nostrils. Rolling his blanket in the dust, and then a dream within a dream within. . . and the smell of a woman, the smell of her body, no visible body, the soft feel of her hair against his face, her legs against his legs, the brush of her lips against his lips, the softness, the hopelessness of it all, green snakes, slow slippery tongues of venemous flame approaching his blanket before entering and leaving the fire without injury, and the roar in the distance, his hand slipping down her back, a body he could feel but not see, his tongue in her ear, a desire to take her. His pale skin, his blond hair, the morning solitude of his skin and bone body. The hopelessness of it all. Will a woman love. . . ? Can a man. . . ? Isn’t that so, Gertrude assessed as she polished off the final – delicious, as always, thank you so very much, my dear Alice – scone. Thank you! I first read the opening lines from Ernest Hemingway’s novel, The Old Man and the Sea, in 1963. My father had come home from the school where he taught English and handed me a brand new copy of the book. He said: “John, I think you’re going to like this. Give it a read.” I still have that book (pictured) and have read it many times since, and it is a text that never ceases to bring me great pleasure. It is the last book Hemingway wrote and quite different from any of his previous work. It has the stature of a book from the Bible. 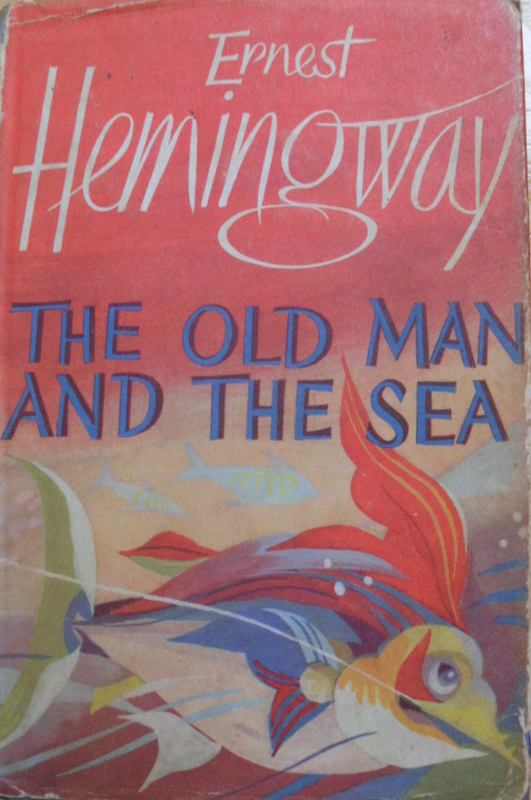 Hemingway tells the tale of Santiago, an aging fisherman who, having gone for such a long time without landing a big fish, has lost all credibility in his community and all faith in himself. Fishing all alone one day, he does finally hook a huge marlin. After a fierce struggle, he defeats the fish and lashes it to the side of his boat, but he then has to battle the elements and ward off the attacks from predatory sharks that wish to feed off the fish. By the time Santiago reaches the harbour, little more than a carcass survives, though the head, the backbone and the tail remain as testimony to the immensity of his catch. The following day, Santiago’s fellow fishermen congregate around the skiff to applaud his achievement. 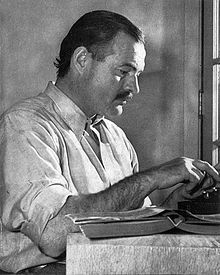 There are many ways to interpret this parable of persistence, but to me the novel has always been about Hemingway’s struggle as a writer, the struggle against writer’s block, the struggle to defeat the blank page and to land a big book that could stand alongside his earlier successes. By coincidence, in August 2003 I was invited to give a lecture at the University of Passo Fundo in the south of Brazil during a weeklong literary festival. I chose to talk about the inclusion of women in literature, focusing briefly on the writings of Emily Dickinson, Charlotte Bronte and Jean Rhys. On the coach trip taking various participants in the festival from the city of Porto Alegre to Passo Fundo, a Brazilian academic came up to me and introduced me to the writer, John Hemingway, grandson of Ernest. In the course of the week we spoke very little, but on the return coach trip we sat together and in a journey of three hours, we became very good friends and have remained so to this day. John wrote a magnificent memoir of his relationship with his father, Gregory, entitled Strange Tribe. This is essential reading for anyone interested in the Hemingway clan. Following our first encounter, I did not see John again until I caught up with him in the first week of July this year when I travelled to the San Fermín festivities in Pamplona. But more of that further down the line. Tomorrow I will post a story I wrote in 1996, centred on the relationship between Gertrude Stein and Ernest Hemingway.